Paper doll is quite classic game for girls. Possibly when the paper production came to the level of wide available resource, paper doll appeared to be very popular among the girls all over the world. You draw the doll's body, cut it out, then you draw the clothes, cut it out and put it on. Very simple, and interesting to spend time, those days. Keep in mind that there were not much stuff to draw it from somewhere, no special girls games, so the had to cut it out from fashion magazines, books, and any other polygraph production of last century. Also not everybody could draw it, but everybody wish to play. 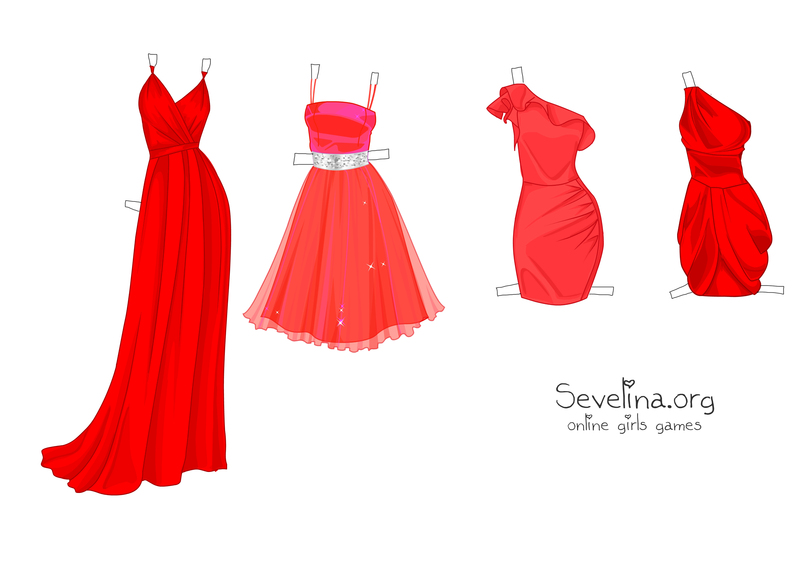 Now days it's look quite outdated, especially when you can play more animated on-line games like Sevelina. However Sevelina suggest you something better, you take prepared picture with one of the Sevelina's paper doll, print it and cut it out, so you save the time on your drawing.